Set amongst the lush tropical gardens of the exclusive Sandy Lane estate, Ca Limbo is an opulent 6 bedroom villa, with accommodation split between the main villa and a separate stylish guest cottage. 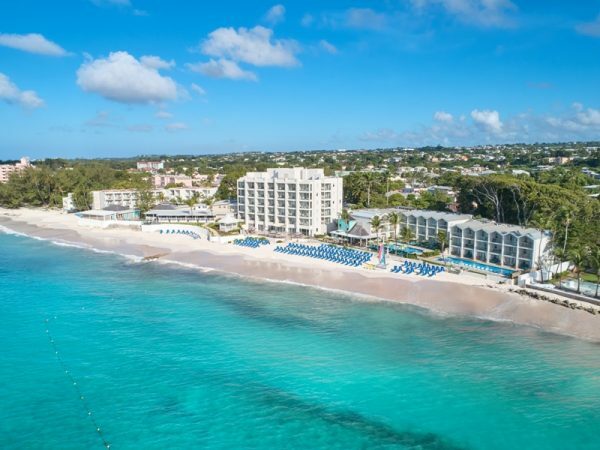 As a guest at the villa, you have free access to the facilities at the Sandy Lane Beach Club, which lies a short distance away and has plenty of loungers and chairs for your use. There are also great water sports to be had, as well as use of tennis courts, a spa with sauna and Jacuzzi, restaurants and shopping nearby and golf courses all within walking distance or a short drive away from the property. Golf is very popular here, and you are situated prominently on the Sandy Lane Golf Course. Further afield you have great access to Holetown with its host of shops, high class restaurants and a wealth of bars. The 6 bedrooms at Ca Limbo are all air conditioned and have comfortable and luxurious furnishings and amenities, as befitting a property in the Sandy Lane Estate. The 6 bedrooms are split between the main villa and a guest cottage, offering a level of seclusion and privacy. The 6 bedrooms are accompanied by 6 bathrooms. Ingeniously designed, the villa surrounds a large pool, with the ground floor bedrooms opening out onto the decking and surrounding area. An airy outdoor terrace is great for casual dining. A living area combines indoor and outdoor areas, along with a modern kitchen, dining room, media room and separate quarters for the housekeepers along with a laundry area. The unusual pool setting creates a uniquely private atmosphere while allowing you to keep an eye on the kids. The guest cottage also has its own plunge pool in a secluded position. The whole property is surrounded by lush tropical gardens, an outside barbeque, loungers and chairs. There is also a new games room and living area in the refurbished basement. During your stay, a team of professional and experience staff will ensure you have a relaxing and enjoyable stay. There is a cook, a housekeeper and a gardener on the property.